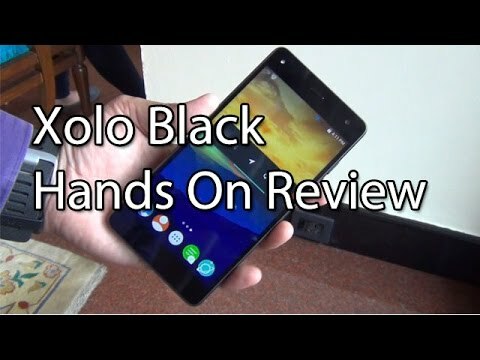 If you own Xolo Black 3GB, please do leave your feedback too. Lowest price of Xolo Black 3GB price in India starts at Rs. 6,999 Xolo Black 3GB is available on Flipkart at Rs. 6,999. Prices updated on 21st April 2019. Released late in 2015, the Xolo Black 3GB competes in a very hot segment of smartphones in India. Featuring good specifications for its price, the Black 3GB sure is an interesting phone. Another 3GB RAM offering from Xolo is the Black 1X. Featuring a full HD display (1920x1080) on a 5.5” IPS screen, the Black 3GB reaches a pixel density of over 400. The display is protected by Gorilla Glass 3. The back cover is not openable. The volume controls and power switch are on the right side of the device. Thus making both of them accessible when operating the device with a single hand. As the name suggests the phone is powered by 3GB of RAM, however that is complimented by a 1.5GHz Octa-core processor too. The Snapdragon 615 chip on this device supports the Android 5.1 setup. It also brings in a Adreno 405 GPU. The device has a Micro USB connector and 3.5mm audio jack. Xolo has a custom UI on this device called Hive Atlas. Xolo has Qualcomm’s Quick Charge technology on this device to help you with fast charging feature. The Xolo Black 3GB is housed with Dual 13MP rear cameras that is a latest trend when it comes to smartphone cameras. The rumour being that Apple would be bringing this technology to the iPhone 7. The selfie camera on this device is a good 5MP in resolution. With 16GB of onboard storage and MicroSD expansion, storing the full HD videos you record on this device won’t be an issue. The battery on this Xolo is at 3200mAh which should give a good backup. The phone supports 4G LTE connectivity in India along with 3G and WiFi + Bluetooth. The phone supports Dual SIMs.